This is the ultimate, cozy couple. Taurus wants material security and Cancer needs emotional security. Together they can build a snug little nest from which neither will want to emerge. Sun in Taurus is focused on providing for himself and his partner. While earthy romance is part of his M.O., his aim is far simpler—survival. He wants a life (and relationship) with all the necessities. Sun in Taurus is a top-notch provider, willing and able to give his partner everything she needs to be comfortable. In return, he’ll expect support, tangible demonstrations of affection, and peace. Although he won’t shrink from a challenge, the Bull prefers a partner who’s grounded and committed. Games and indecision will only try his patience. Moon in Cancer needs to nurture, and be nurtured. Here is the Mother, ready to look after her partner (as long as he returns the favor). This sensitive, emotional sign requires a secure home base to retreat to when she gets overwhelmed. Sensitivity is such an issue that Moon in Cancer can be quite protective of herself and her partner. Her home is her castle, and her lover should be ready to protect it with her. Sun in Taurus will be nourished and revitalized by Cancer’s emotional support. He’ll respond to her need for security and will do his utmost to protect her. 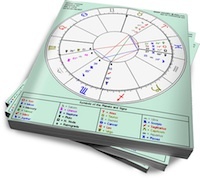 Moon in Cancer will feel sheltered by Taurus’ staunch capabilities. And if she withdraws when Taurus inadvertently steps on her toes (he’s not the most intuitive sign), he’ll wait patiently until she emerges from her shell. Cancer can be moody, especially when she’s feeling insecure; Sun in Taurus will ground her with his calm assurances. The only downside to this well-matched couple is the possibility that they’ll become isolated in their own, exclusive world. I think Scorpio needs to guard against being over critical as a sharp tongue could easily hurt Cancer and make them fell less secure in the relationship. Also, as sympathetic as Scorpio can be they may still tire of any clinginess shown by Cancer, especially if the Cancer is female. S.